Looking to print most of the flag football plays available on this site? Download full page plays with flipped versions. The main playbook contains 34 plays (68 total pages). There are two versions of the 5 man playbook. One is full color. I’ve found this to be effective for younger teams as the players and routes are colored coded. During your huddle, you can quickly assign player to color and they will find their position and route faster. The positions are also consistently colored the same. 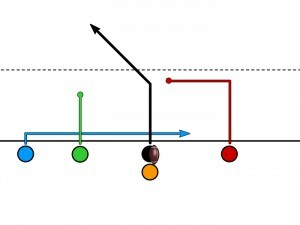 The left receiver is always Blue, middle is Green, and right is Red. 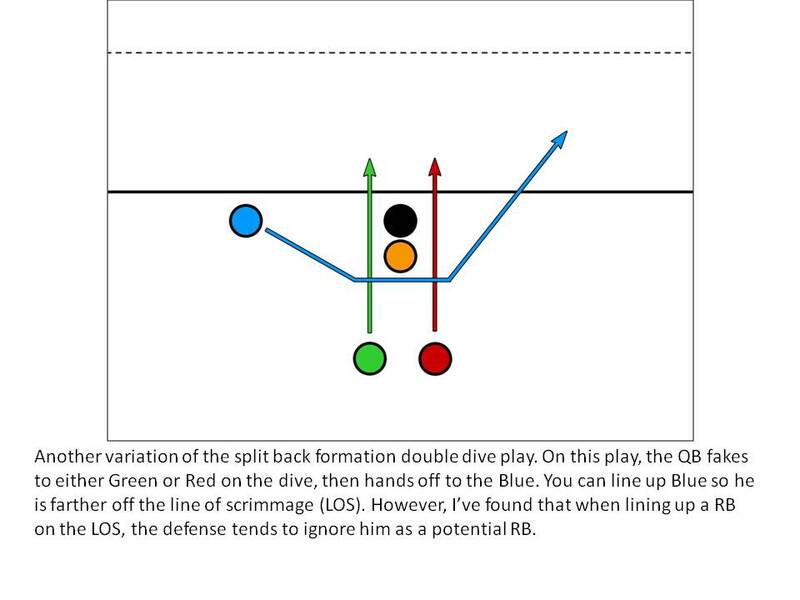 The other playbook is black and white with each position noted by a letter. The same consistency is used for the receivers. 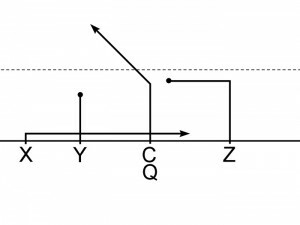 Across the line of scrimmage from left to right, the receivers are labeled X, Y, and Z. This is used regardless of where they line up. 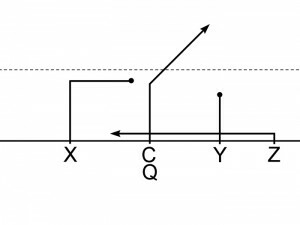 If the middle receiver is lined up in the back in a running back position, they are still noted as Y on the play. 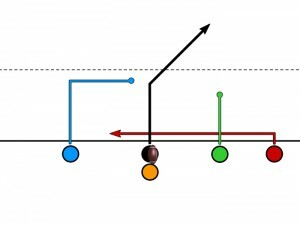 Most of the plays are designed according to the NFLFlag rules (no pitching/laterals, no forward passes to receivers behind the line of scrimmage, etc). Most plays are passing plays, so various flag football league rules do not alter how the play is run. Also included is a running playbook to use with younger kids. The running playbook includes 10 plays with variations per play. To download both versions of the 5 Man Playbook that contains 34 flag football plays as well as the Running Playbook, select the Buy Now button to pay by credit card or PayPal.